A sliver of space rock as thin as a human hair may hold the key to the formation of the Solar System, suggests a new study. 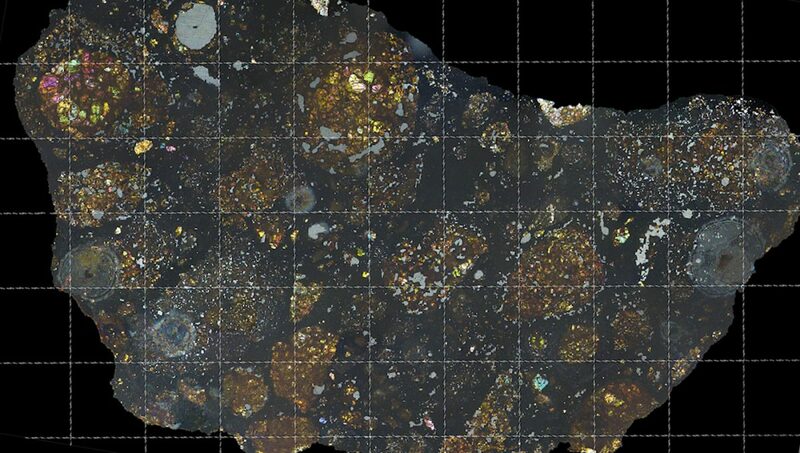 Billions of years old, it was discovered encased inside a meteorite that fell to Earth in Antarctica. Astronomers have likened it to the capture of prehistoric insects in amber. Despite crashing onto an icefield, it was in remarkably pristine shape with little weathering. This enabled scientists to carry out a detailed chemical analysis. Inside, the international team found the carbon-rich slice of primitive material. At just a tenth of a millimetre across, it bore striking similarities to extraterrestrial dust particles. These are believed to have originated in comets that formed near the outer edges of the Solar System’s. About three to 3.5 million years after the birth of the Sun and planets, it was picked up by the growing asteroid – from which the meteorite originated. It provides a vital missing link in the search to understand how we went from the initial clumps of dust and ice to the planets they would eventually become today. The solar system formed about 4.5 billion years ago but scientists still don’t know how. Named LaPaz after the ice field where it landed, the meteorite sheds light on the formation and evolution of the Earth, Sun and Moon. 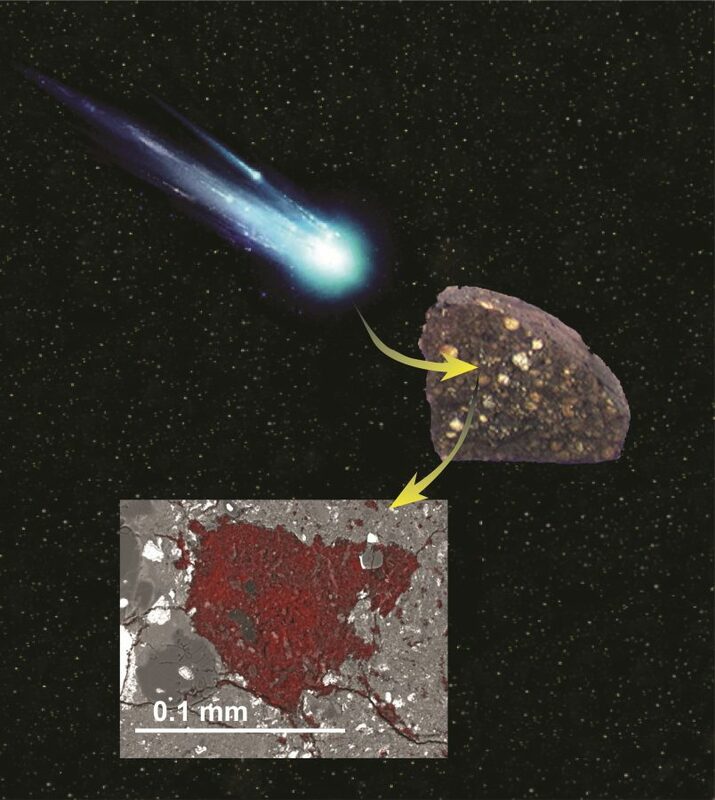 Meteorites were once part of larger bodies – asteroids, which broke up due to collisions in space and survived the trip through the Earth’s atmosphere. Asteroids and comets both formed from the disk of gas and dust that once rotated around the young Sun. But they clumped together at different distances from the star, affecting their chemical makeup. Compared to asteroids, comets contain larger fractions of water ice and far more carbon. Sophisticated chemical analysis suggested the entombed material originated in the icy outer Solar System along with objects from the Kuiper Belt – the most famous of which is Pluto. This is where many comets originate. Prof Nittler said it supports the idea of a “radially inward transport of materials” from the outer proto-planetary disk into a carbon reservoir.